From the British folk singer's third album, A Creature I Don't Know. 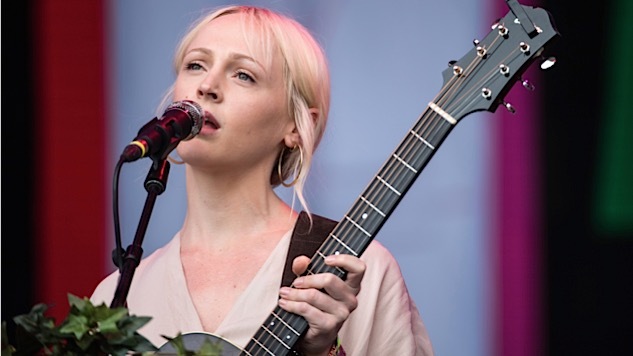 British singer Laura Marling gorgeous, velvety brand of folk has aged gracefully, from the singer’s 2008 debut Alas, I Cannot Swim to her most recent release, 2017’s Semper Femina. It’s easy to forget that Marling herself, though, is still so young. At just 27, she’s proven herself a prolific and inventive artist, releasing six full-length LPs in the span of 10 years. On Jan. 11, 2012, Marling recorded a Daytrotter session live from San Francisco, performing songs from her third album, A Creature I Don’t Know. On the haunting and beautiful “Sophia,” she is delicate yet fierce. “Where I’ve been lately is no concern of yours,” she repeats, growing with intensity each time. Marling’s voice may be soft and ethereal, but her statement is undeniably bold. Read our review of Marling’s Semper Femina right here.